Are you looking for the best thermal imaging binoculars, but you don’t know what you could end up with? You’re reading all those untested theories and reviews all over the internet, but really want something that works, right? Don’t worry, that’s why we’re here with our well-researched review of the best thermal imaging binoculars we tested. 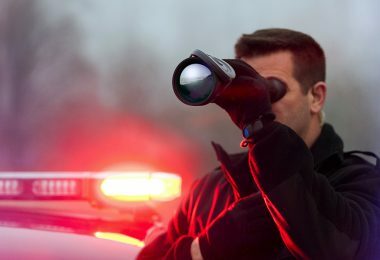 A thermal imaging binocular is all you need for night vision using the heat signature of objects in question. It lets you detect and recognize a target in your range using high-tech sensors. 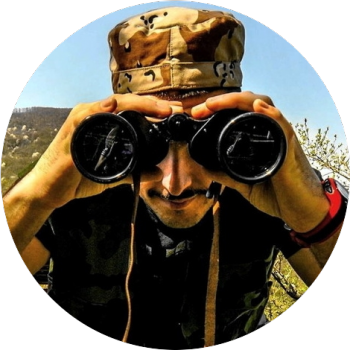 Here we reveal the features that matter when looking to own a reliable thermal binocular. 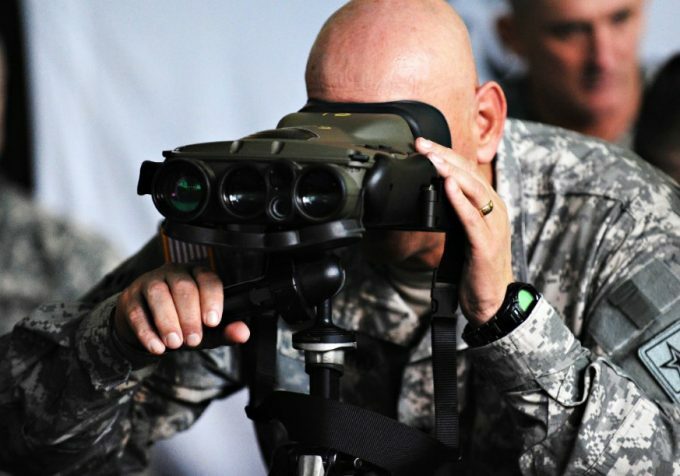 We have created this short list to give a detailed overview of the best thermal binoculars on the market. Our top picks are up to date, digitized, and come at reasonable prices. These devices are made for outdoor enthusiasts who love exploring after light. 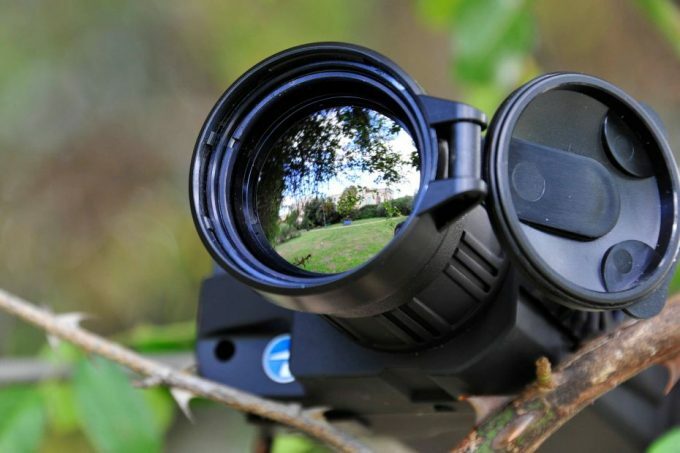 Bearing in mind that they can be complicated to handle at first, we can’t deny that once you get your hands on the perfect thermal binocular, you’ll never want to go out in the dark without one. Thermal imaging binoculars, in some ways, have all the features and options that a normal set of binoculars come with. However, there is another major option to contend with. The thermal sensor is a piece of tech that many people are not overly familiar with but has started to come into the standard consumer’s price range. We’ve started off by highlighting some of the features that you will need to look at when it comes to finding the top pair for your particular needs. These are detectors which identify an object, usually a living thing’s heat signature. The sensors do not need to be in contact with the target to recognize it. In binoculars, a strong detector is needed to help see the image in high clarity. It should let you have a clear view of the background such that you will be ready for unforeseen events. 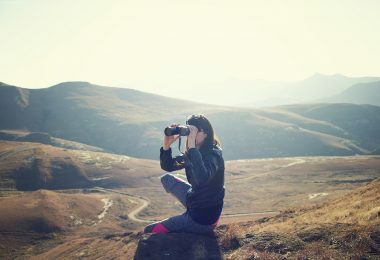 It should be highly sensitive to temperature changes to allow the binocular use the information and deliver high-quality images. Magnification influences the field of view. As such, you should be aware of how large you want the image to look. Also, keep in mind that with a small magnification, you can see just about everything as opposed to having a high-powered device. Variable magnification is also on the table since it lets you personalize your view. The only setback with variable magnification is that you can fumble with the settings when you want to change from one setting to the other. Where will you be using the thermal binoculars? Your device should withstand all weather conditions to eliminate restrictions. If you are venturing into wet areas, the binocular should be sealed well enough to prevent moisture from entering the interior compartments. Remember that there is a difference between having a pair of binoculars that are weather sealed and those that are submersible. Not forgetting, it should also be resistant to fogging on the lenses. Also, we believe your device should take a few hits on rough terrain and remain fully functional. Over time, we have come to appreciate the digital world. That’s why even in thermal imaging binoculars, it is quite a popular feature. The extra features like GPS and e-compass may seem like out of the blue functions, but they help figure out your location, where you’ve been, and where you are going. Other functions like capturing of photos and video are also important. They are not only for recreation and reliving special moments, but they come in handy in recording evidence for the law enforcers. 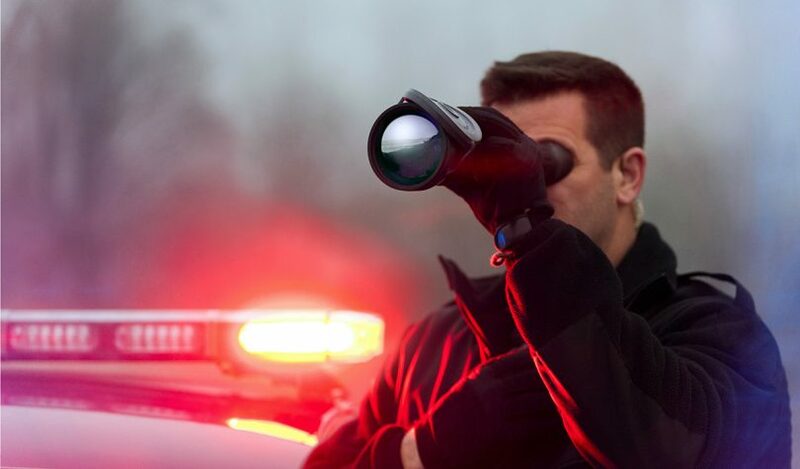 Now that you have a feel for some of the features to keep in your mind take a look at some of our picks for the highest rated thermal imaging binoculars that are out on the market today. It may only be a short list, but these are all stand out models. 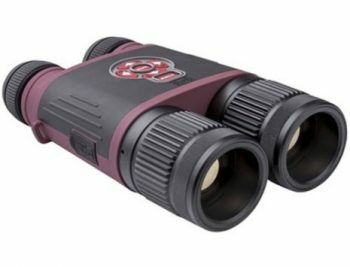 Description: The ATN Binox-THD 384 Thermal Digital Binoculars are uniquely made to cover all the modern specifics of thermal imaging. Some might even wonder how they got through without such an incredible device. Fashioned with the distinct Obsidian T Core, it is both powerful and functional. It allows you to use its different magnification to view your target within different ranges. This way, you’ll have ample field of view per your target range. As a thermal imager, the ATN Binox have a smooth zoom to figure out objects with clear outlines. You can expect to identify the exact figure be it an animal or human in the display. 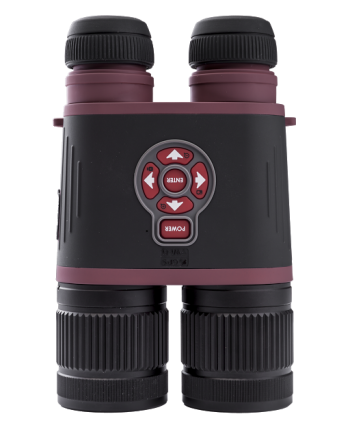 This binocular is also equipped with digital configurations including Wi-Fi, video recording feature, GPS, and an e-compass. You can record videos up to 64 GB in size and stream live to a connected device like your smartphone for instant viewing. Not to mention, it also has an inbuilt image stabilizer. You don’t have to keep your hands still to prevent blurry images in your view. You’ll love working with this equipment thanks to the work put into it to bring forth excellent ergonomics. The two barrels are connected by a control panel. The panel has the functional controls which are fast and easy to learn. This model is the real deal when it comes to real-life outdoor experiences when hunting or practicing target shooting in the dark. 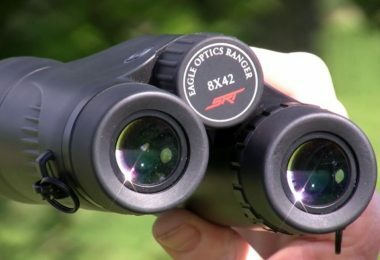 Related: For those who are inclined more towards day adventures, there’s the incredible ATN Binox Smart Binocular. It is also digital so you can capture photos and videos in high resolution. It is applicable in many fields including surveillance, sporting, birding, spotting, and hunting. For the price, we can say, it’s quite a catch. Description: The DALI S730 Thermal Binoculars come at a steep price, but when you look at the components, we can say it’s all worth it. First, it carries a 384 x 288 sensor to give crisp, clear images. This device is best known for its capability to detect objects in long range. It eliminates any chances of being caught by surprise as it can identify the exact figure. Its detector is the famous uncooled FPA microbolometer. It is lightweight and uses much less power such that the battery lasts longer than in other binoculars its class. The DALI S730 Thermal Binocular has a fixed magnification at 2x. It helps you have a full field of view such that you can tell what’s happening in the background. The autofocus mode saves you time to zoom in the object. This way, you only need to focus the device, and it does the rest for you. For those that would love to relive those “out in the dark” experiences, you’ll be able to record videos of up to 2 hours. It also offers a chance to take over 1000 high-resolution photos. Not to mention, it has a noise reduction feature for the videos. The OLED display is essential in giving the ideal view replete with details of the target. With the assistance of the detector, it can detect humans within a range of 2475 meters and vehicles at a range of 3450 meters. It is no wonder a favorite in the law enforcement industry. With a weather resistant rating of IP67, this binocular can take you to virtually any environment, whether in a rainstorm or high humidity areas. You’ll like that it can be stored in auto standby mode, so it’s always good to go when you want it. Related: If you are looking for a monocular for your thermal imaging needs, take a look at the Dali S240 Thermal Monocular as an option. This will give a different form factor but could be easier to use in certain scenarios. 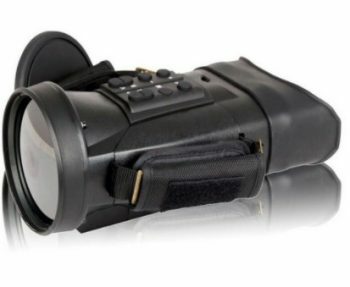 Description: The ATN Binox THD 640 Thermal Binoculars is designed to take thermal imaging to a higher notch. The functionality of this device speaks of perfection from all dimensions. The processor is an incredible entity as it uses the Obsidian Core exclusive to ATN. This processor is known to eliminate lags in performance while offering crisp, clear images with the touch of a button. You’ll like recording video in stunning 1080P. This means you can take back exceptional experiences to share with friends and family. The image stabilization comes in handy to remove shakiness such that you can take a clean shot each time. Not forgetting, it applies a smooth zoom to bring the target closer for better aiming. It’s pleasing to know that you’ll never get lost in the forest, at least not when you have the ATN Binox thanks to the GPS and geotag features. This weather resistant device covers you against all extremities. It is protected against moisture, fogging, and dust. It is also durable seeing that it withstands falls and remains working as good as new. Related: ATN is replete with a variety of smart devices. For your day hunting escapades, the ATN X-Sight II Smart Riflescope proves to be just the right match for you. It applies modern tech to maximize your possibilities in the field. From the rangefinder to the video recording capacity, it works to elevate your shooting skills. By now, we believe you have learned a great deal about thermal binoculars. We have laid out only those that have the best qualities. Now, you can go out there and pick the one for you because we got you covered. Just remember that a small price tag does not indicate a low quality. Finally, we would like to hear from you. Do you have experience with any of our picks? If so, we’d love to hear from you in the comments section below.